It turns out we need a nap during the afternoon. And historically, it seems we've always needed one. There is the Spanish concept of siesta. Italians call it riposo. If you go to China, you are likely many businesses shut down between 11:30 - 2:00 pm. They take a combination lunch and siesta before going back to work. Americans used to call it a power nap, but the research world calls this a nap zone. 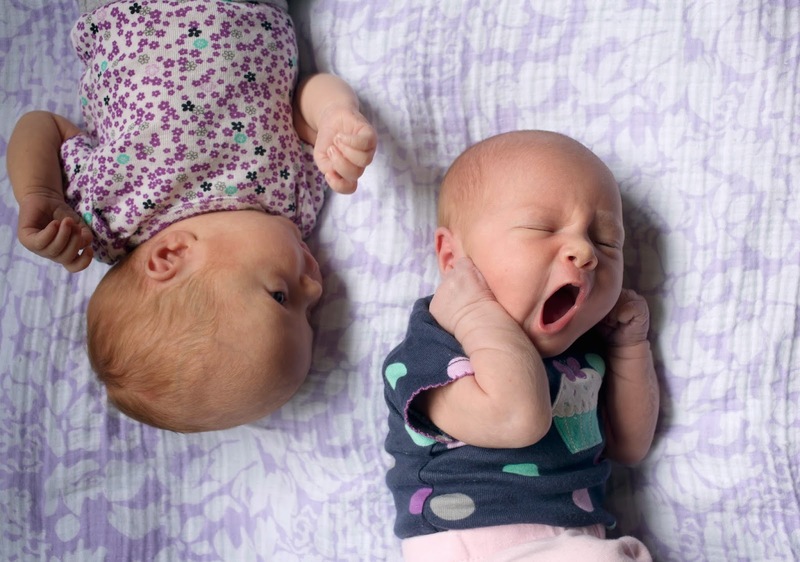 We now know that a nap can profoundly influence productivity during the day. Mark Rosekind, a researcher who used to work for NASA - his job was training pilots - actually did an experiment. He allowed his pilots to take a 26-minute nap, then measured their productivity. He found that productivity increased 34% if he allowed his charges to take a nap. He has a really great quote "What other management strategy will improve people's performance 34% in just 26 minutes?" he is famous for saying. The research world calls this the nap zone. Other benefits have been found, mostly related to changes in memory performance. Both declarative and procedural memory tasks improve if you take a regular nap. One paper has the delightful title - and remember, this is a research paper "Good sleep, bad sleep! The role of daytime naps in healthy adults. I have personal experience with this, and I bet you do too. When I don't take a nap in the mid-afternoon, I typically fight being drowsy from about 1:30 on. If I do take a nap in the mid-afternoon, just a small one, I suddenly get a burst of energy and an alertness that allows me to be productive the entire day. I am pleased to say this anecdotal information has strong empirical support. Brain Rules for Baby: Updated and Expanded! Brain Rules for Baby has grown! 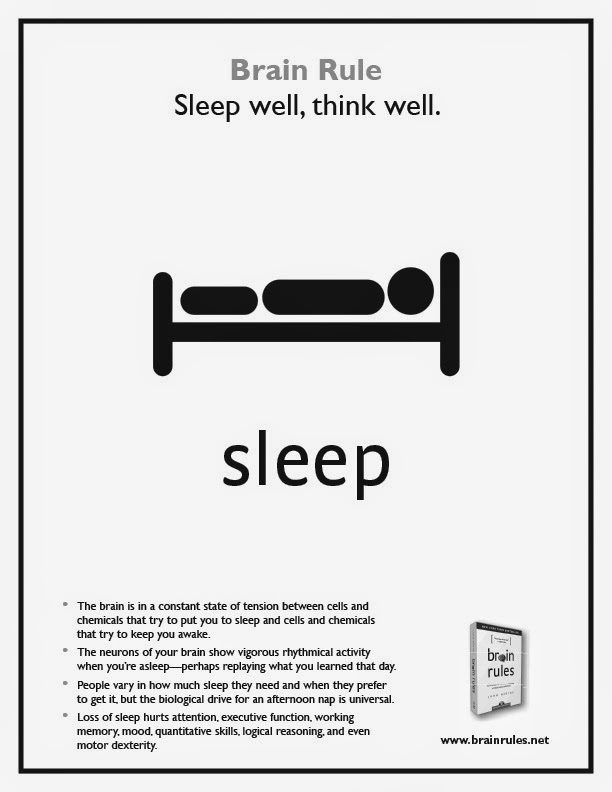 The book now features a chapter on the science of sleep -- the No. 1 question parents ask Dr. Medina. Just want the sleep chapter? Get it here. Each ebook comes in PDF format, which you can send to your Kindle or other reading device. Become a fan of Brain Rules for Baby on Facebook. P.S. Zero to Five by Tracy Cutchlow is due June 17th! 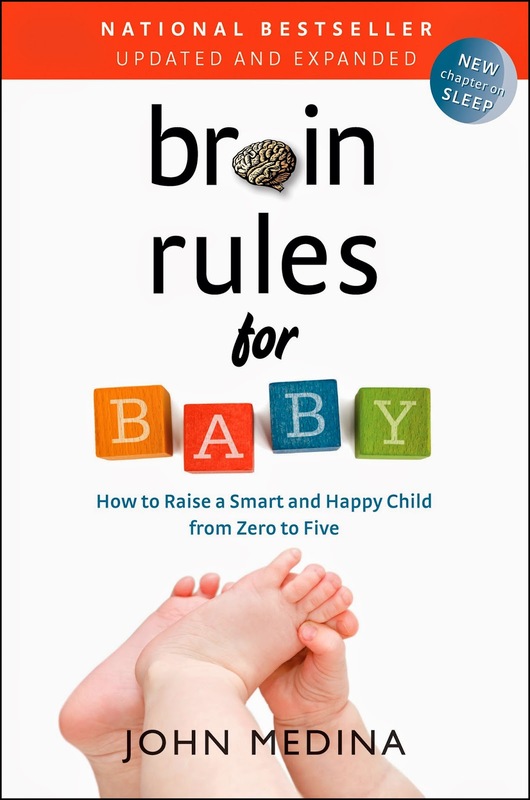 As John Medina’s editor, I worked closely with him to shape Brain Rules and then Brain Rules for Baby. It’s been a thrill to watch both books climb onto the bestseller lists while getting rave reviews from you. I’m grateful for the books on a personal level as well. I imagine you feel the same way. I wanted to revisit some of the things I’d learned, but suddenly I had no time for long books. And while I understood why doing this or that was beneficial for baby’s brain, I still had questions about how. (Speak 2,100 words an hour to your baby? Seriously? How?) I dug back into the original research. Thus, my new book, Zero to Five, was born. I’d love to tell you about it. how to give baby’s brain a boost—including specific language you can use or actions you can take. bite-sized information in a clean design. Flip the book open to any page and you’ll get something out of it. spiral-bound, so it stays open. You can read while holding baby, or keep your place when you get interrupted two minutes later. beautiful photographs of real families. These make Zero to Five a truly special book. I’m excited to share this book with my fellow Brain Rules fans. It’s due June 17. Want a sneak peak of the book, free? Click the yellow "free tips" button at www.zerotofive.net. Tracy Cutchlow is the editor of the bestselling books Brain Rules for Baby and Brain Rules. 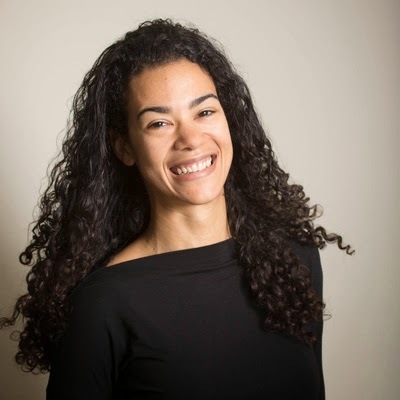 As a journalist, she has worked for MSN Money and the Seattle Times. She lives in Seattle with her husband and daughter.